Goflers would do a whole lot in order to lower their score. After all, it is not exactly a cheap game to be involved with, and they tend to want to pick up new gear from time to time, hoping that their latest purchase would be able to help improve their performance in the next game. 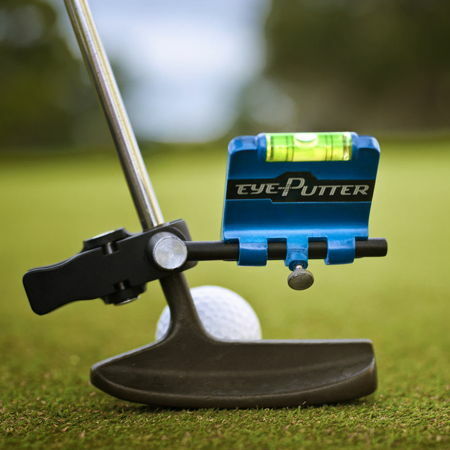 We have seen a fair number of gadgets that target golfers in the past too, such as the Eagle Putt Trainer, and this time around it would be the $39.99 EyePutter Golf Putting Trainer. SkyMall claims that the EyePutter Golf Putting Trainer will be able to lower your golf game by 8 to 10 strokes (!) with this simple device, which is a rather bold claim. Although I myself do not play golf, it would be interesting to hear what experienced golfers have to say about this device. The EyePutter Golf Putting Trainer basically lets you see the line every single time that you would like to putt, making it somewhat more like a video game than anything else. Golf handicaps will eventually be lowered on the green (hopefully!). There is a built-in level within that helps keep your putter blade square and the angled mirror unit ensures you’re always on-line, leaving you free to focus on technique and building pro-level muscle memory instead.